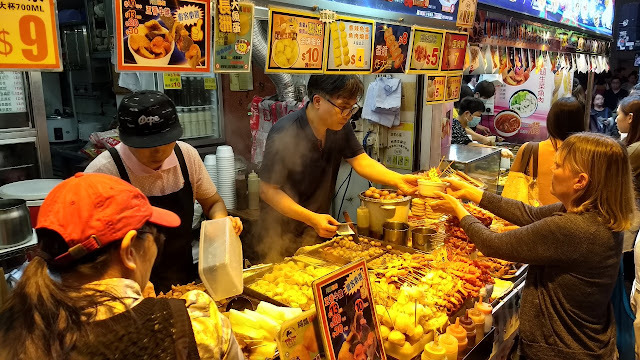 Hong Kong is a great place for street food. If you like eating tasty treats on a stick, you will not be disappointed. 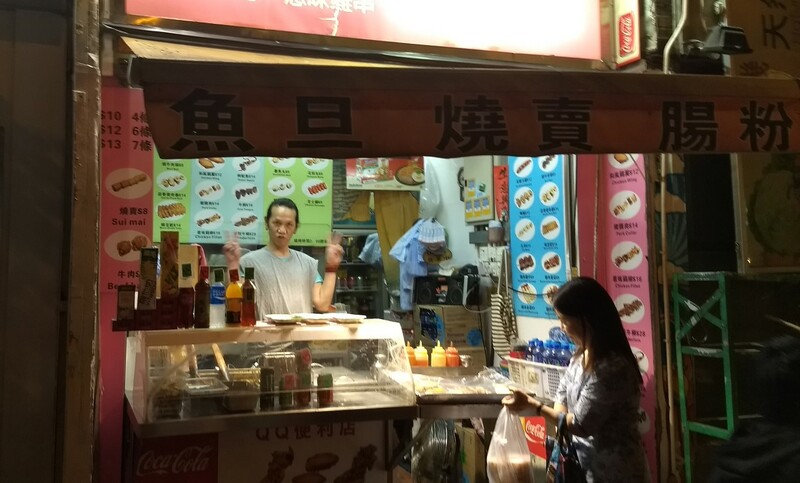 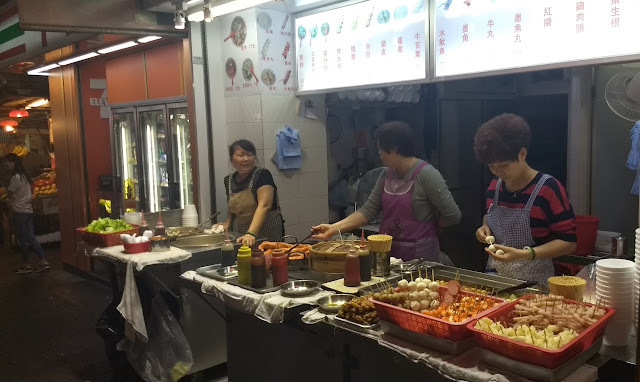 You can find street food most anywhere, but the largest density is probably in Kowloon at night. 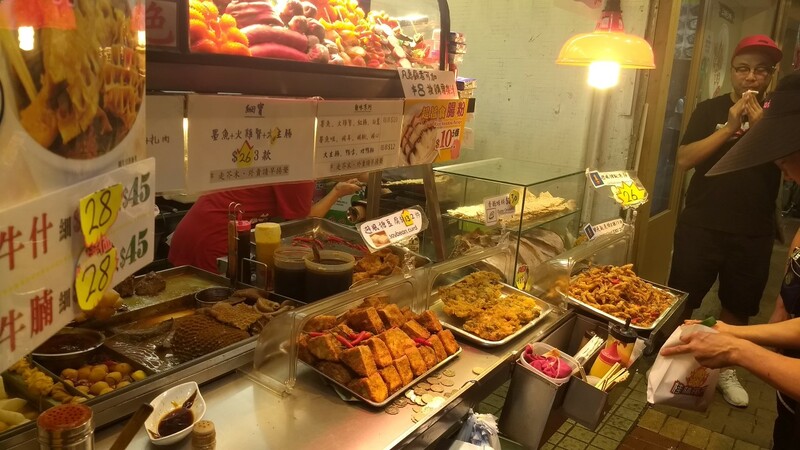 We purchased the fried tofu above from a bustling stall a few blocks southwest of the Ladies' Market. 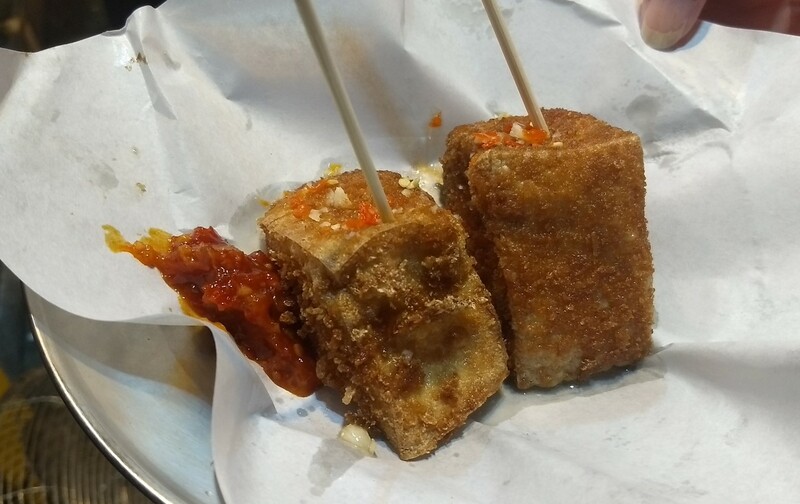 The outside of the tofu was crispy, the inside soft and it came with a nice spicy sauce. We found ourselves back in Kowloon again at the tail end of our trip. 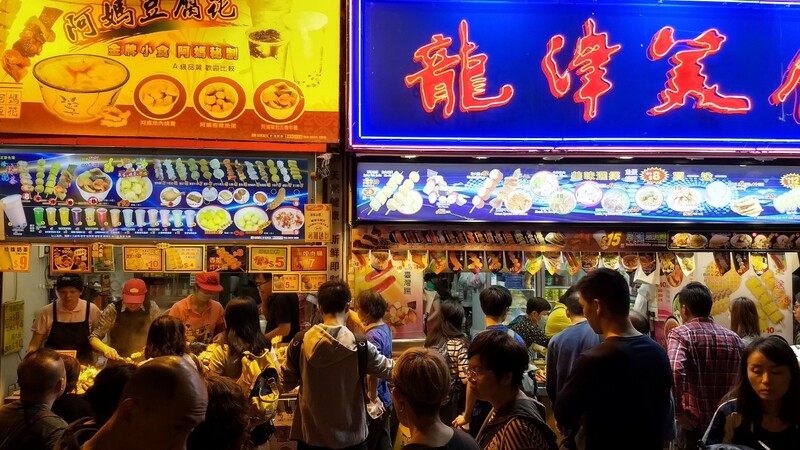 Near the Mong Kok MTR stop, at the corner of Mong Kok Road and Tung Choi Street are a number of very busy street food vendors. 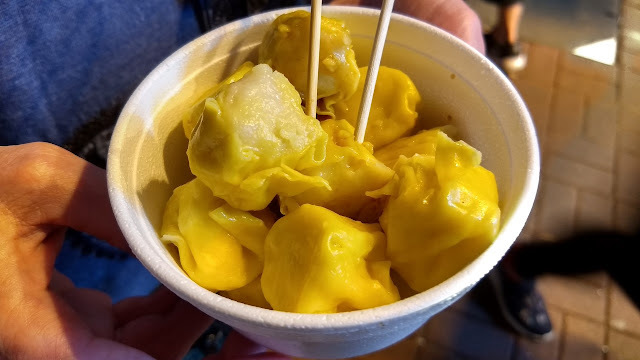 We got a little bowl of shiumai, which were pretty good but basically shiumai-shaped fish balls. 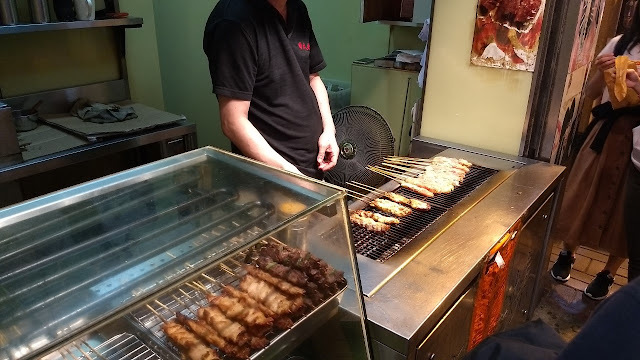 Just down the street was a guy grilling up skewers of various meats. 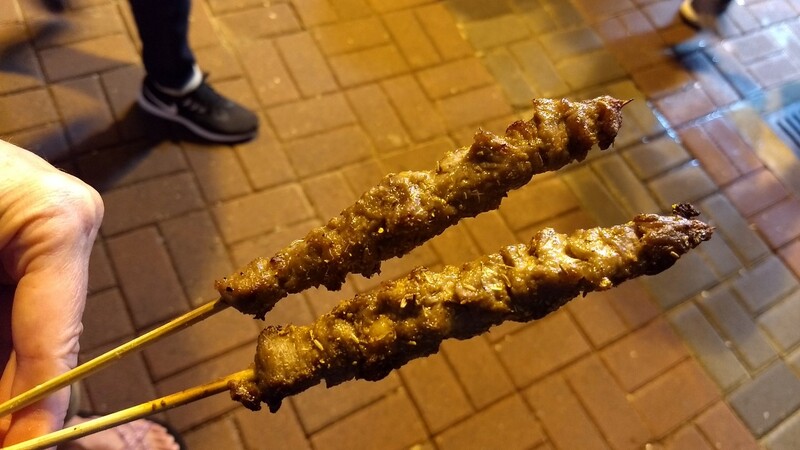 Unable to resist meat-on-a-stick, we had two lamb skewers. 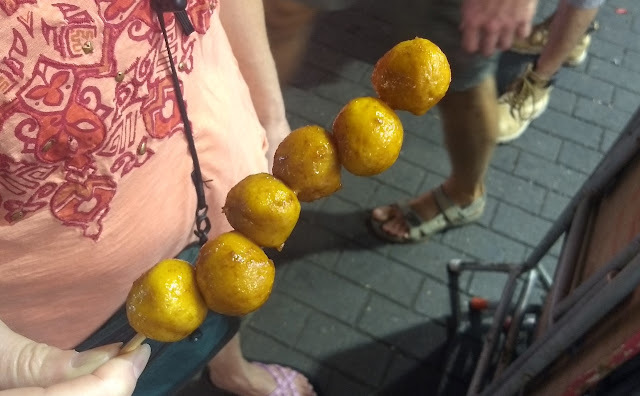 They were lovely - tender and full of flavor. 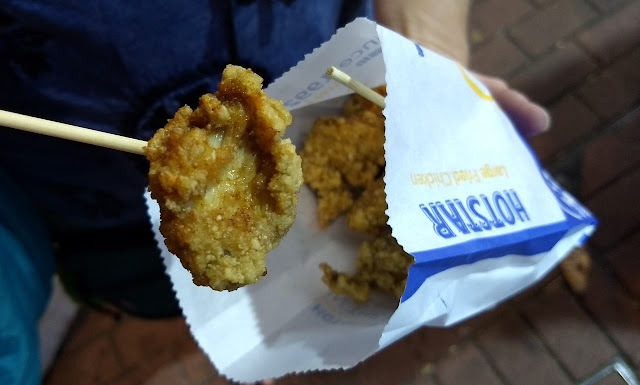 We still needed a little snack, so we got some fried chicken bites from one of the ubiquitous Hot Star stands. 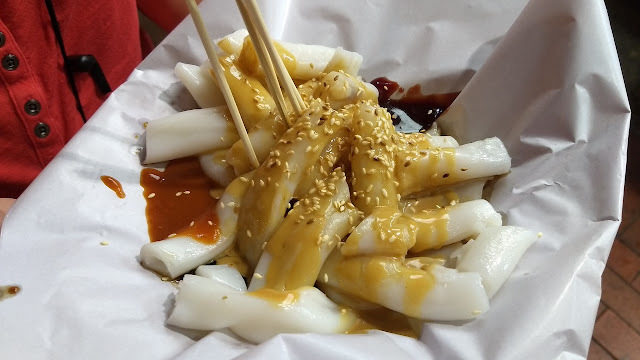 Crispy, and coated with some chili and five-spice flavor. 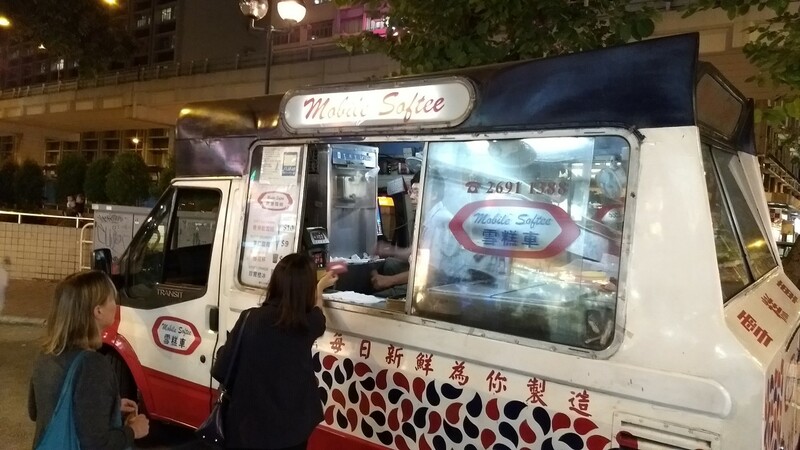 We rounded out the evening with soft-serve ice cream when we succumbed to the lure of a Mobile Softee truck.